File size is approx 144.2MB (204.1MB unzipped), offered as a single download. Hi, I really like the artwork. 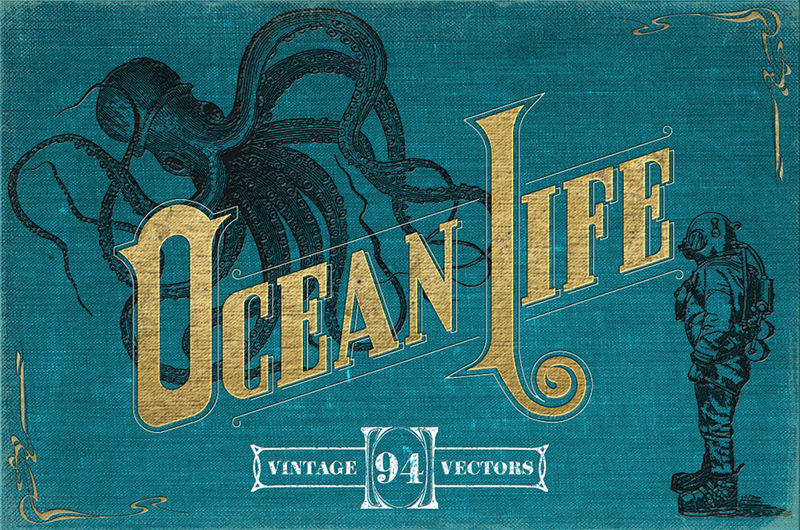 Can you please tell me what is the name of that font you used for “Ocean Life”? Or where I can get it? Yay, we’re so glad to hear that you love these nautical illustrations!